A croissant is a buttery, flaky pastry named for its well-known crescent shape. Croissants are made of a layered yeast-leavened dough. 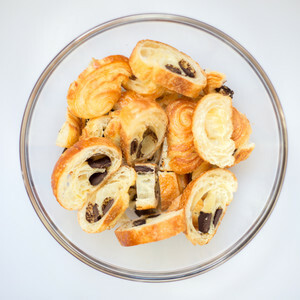 Chocolate croissants, or "Pain au Chocolat", are croissants baked with pieces of chocolate in the center.